The Maldives Film Awards 2011 was held on the 4th of July 2011, and was attended by H. E. President Nasheed as the chief guest, accompanied by Madam Laila. It is the premier awards event for the small but vibrant local film industry, held by the Maldives Film Association. The event was sponsored by Enchanteur and managed by High Rise Pvt. 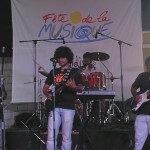 Ltd.
Fête de la Musique (World Music Day) 2011 was held on the 30th of June, 2011, in Muniufaa premises. This is the third such event, held annually, by Alliance français, in Malé, Maldives. The core-values of Fête de la Musique is said to be, to cerebrate music on the streets by both amateur and professionals alike. The Wataniya (Maldives) Anniversary Dinner was held on 6th March 2011. The dinner was in an “ice” themed hall, that featured an awards ceremony, debut of Rhythm In Peace (RIP) – a vocal duo, a DJ, Haisham’s trio, video messages and presentations. I should note here that RIP was unheard of, prior to this event. However, they performed quite well, considering it was their debut performance. They performed their original tracks to well choreographed dance routines, and their vocals were live. Bravo! for a good start. Maldives Beach Games – Logo Launching Ceremony, was held on 10th February 2011 in Kulhivaru Ekuveni at 2100. The Chief Guest of the ceremony was Hon. Sanath Jayasuriya who was accompanied by the Vice President of Maldives H. E. Dr. Mohammed Waheed Hassan and Human Resources, Youth & Sports Minister Hon. Hassan Latheef. Here is the Maldives Holidays Calendar updated for 2011. I am also introducing a new calendar for Awareness & Special Days. As for the Academic Calendar, I will update and post it here once I have some reliable information. Academic Calendar has also been updated for 2011. Use at own risk. Please read Known Issues before using. Please leave a comment with some feedback, especially if there are any errors that need to be fixed. Added May Day as a public holiday. Fishermen’s Day has been moved from 10th December to 16th October, annually: http://sun.mv/9622. Tks to @kudanai for notifying the change. Marcia Barrett performing in Dharubaaruge, Maldives. Marcia Barrett (of Boney M) performed in Male’, Maldives on the 26th of April 2010, accompanied by two back-up vocalists, dancers and a percussionist. The performance was held at Dharubaaruge. An enthusiastic and lively audience of about 700 pax sang along and cheered for Boney M classics. 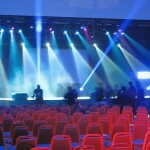 The event was hosted by the Government of Maldives after a failed attempt by a private company to hold Mega International Music Fiesta, which was planned for 14th April 2010. Unoosha (with Barchie, Umar and a DJ) headlined for Marcia.